If you are looking for Hospital Patient Wristbands or a Positive Patient Identification Solution, Higgins can help! Higgins provides a wide range of Hospital Wristbands, Medical ID Bracelets & Identification Wristbands, Hospital Label Printers or Hospital Labels, Healthcare ID Cards, Healthcare Identification Solutions, and Medical Automation Systems for hospitals, clinics and medical offices. We also have numerous options available not listed below. 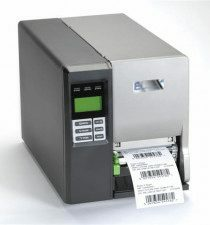 Shop below or in our catalog for more information on Hospital Label Printers, or call us at 800-486-1312 for more information on all our patient label, wristband, and id bracelets . Or if you are not sure where to start? No Problem, Contact Us! If you are looking for Plastic Card Embossers or Imprinters: Click Here.